Really enjoyed 'Faeries of the Minesweeper' on 22 August from London Dreamtime. A tale of the fairies in a mill at Deptford Creek from Vanessa Woolf was interspersed with songs from Nigel of Bermondsey; costumes and settings were designed by Lucy Williams. Starting out by St Pauls Church we wound our way to a railway arch by Crossfields Estate and then across the Creek to finish up on the Minesweeper Boat. with the many twilight ducks flying over. They are back in action on another boat on Sunday 21 September (3:30 pm - 5:00 pm) with 'A Trip down the Thames in Story and Song' on HMS President, the 1918 ship redecorated as Dazzle Ship London by artist Tobias Rehberger.The event is sponsored by the Londonist and is part of this months's Totally Thames season of events on and around the river. 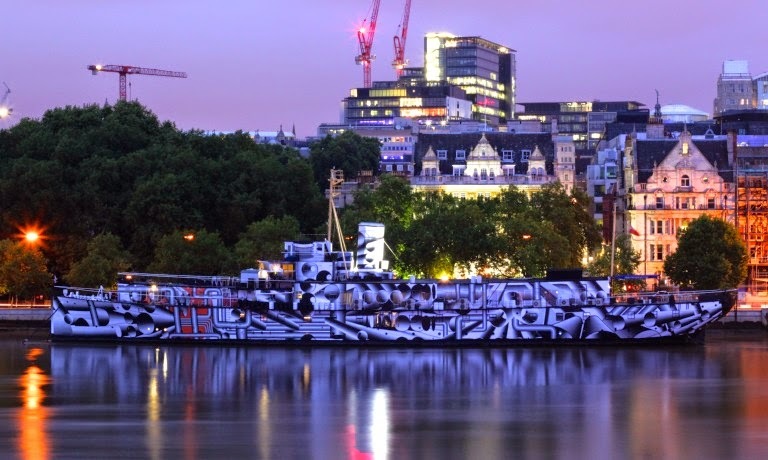 HMS President is moored at Victoria Embankment, London EC4Y 0HJ. Nigel is also busy next Thursday 11 September (8 pm) - hosting South East London Folklore Society at the Old Kings Head in Borough High Street. 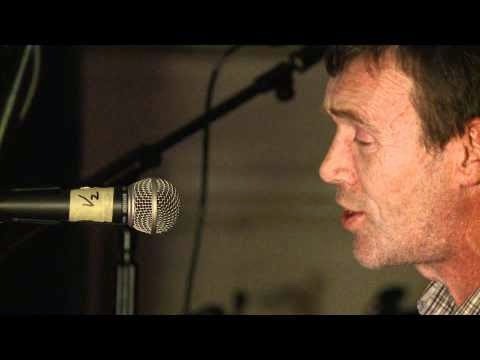 Guest this time is Thomas McCarthy, the Irish Traveller, Folk Singer & Storyteller. He has a repertoire of over 200 traditional songs that he sings unaccompanied. He also has an extensive story repertoire from which he shall be drawing from at SELFS. Expect to meet fairies, hunchbacks, banshees, druids, Finn McCool and Cuchulain (Facebook event details) I've caught Tom singing a few times, including at Kit & Cutter, and he's a great talent.